is everything pretty much the same - price and location (Pattaya) wise that is? 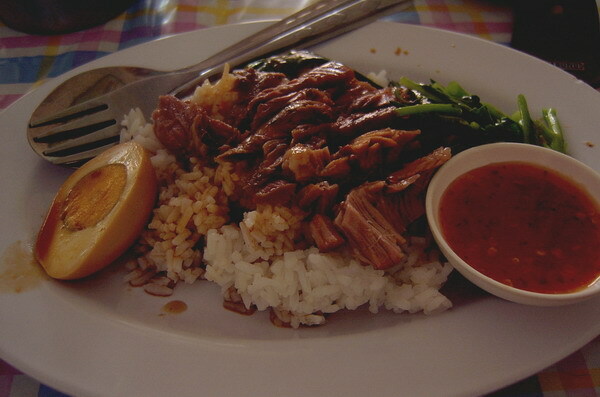 Prices are pretty much the same, this pork and rice with half an egg was 35baht in Pattaya last week. Nice food this stuff. I call it me supermarket dish cause every time we go to BigC, Tops, Tesco, etc - I pop to the foodhall and eat it. Very nice, though usually 40 baht around Bkk nowadays. DD, are you still low end dining? If so, how's about an update on pad kapow moo and others that take your fancy. Of course! You opened a restaurant! Is that why we dont see further developements on this pad kapo moo thread? Pad Kapow moo looks a lot like my fave breakfast of kao, chili basil and moo or gai on occasions. Great after a beery night before. My fave beer food was kao niaow ping ? Sticky rice spread with butter and salt and grilled on the barbeque cart. I really miss that here in Oz. Not a thai restaurant here that wants to supply this to me. Of course! You opened a restaurant! thats news! DD running a restaurant. that's one Place I would cross the street to give forgo the experience. have you seen his posts on " How to make pea & ham soup and other home made delicacies"
esp; fried chicken never had better. That pork dish mixed with that sauce looks good. Has anyone heard of or eaten at this restaurant located somewhere on Beach Road and in a 5-building condo complex? From my Thailand trip photos.. 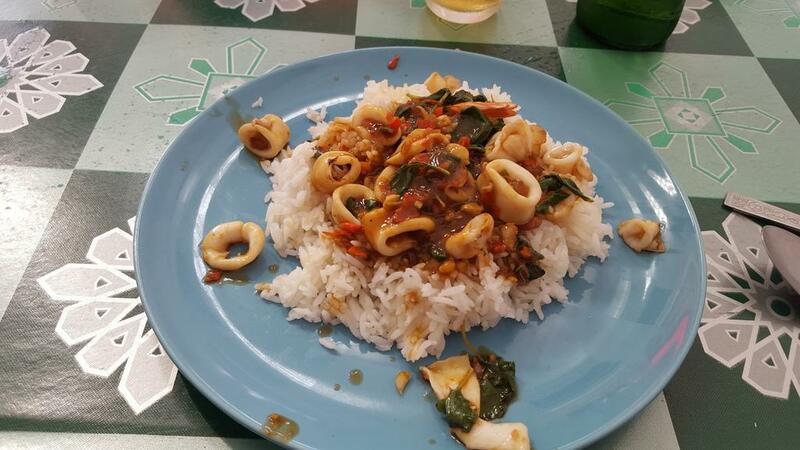 This is how the plate came to me..
Is that the sick squid you owe? Looks like sphincters with basil. Yummy. Last edited by hallelujah; 06-11-2015 at 08:54 AM.